Are you looking for ways to improve your insurance marketing? Most agents aren’t taking advantage of one easy and powerful tactic: online reviews. Did you know that 84% of consumers trust online reviews as much as personal recommendations? The popularity of online reviews has soared with the advent of smart phones, social media and sites such as Trip Advisor, Yelp, Foursquare, Facebook, OpenTable, Google, and others. This grass roots method of trying to influence consumer purchase behavior is clearly working. According to Bloomberg News, social media ad spending was expected to more than double between 2012-2016 to $9.8 billion . Testimonials and reviews can help improve the quality of your life leads and conversions. Good online reviews will attract more consumers to check out your website and open more doors to sales opportunities. In short, you need to start compiling online reviews. To really spice things up, I reached out to Jonas Roeser, CEO of Agent Review to co-author this piece. This article outlines everything you need to know about online reviews and how they will improve your insurance marketing. Selling life insurance becomes much easier when prospects start knocking on your door. The big problem we’re facing is the independent agency is under direct attack by a fierce opponent, the Internet. Knocking is becoming a thing of the past, but clicking is in full force! Here are 4 reasons online reviews make selling life insurance easier. People Love Showing Gratitude – It’s an instinct to want to help someone and often people just don’t know how. If you have clients willing to give you a public review, they’re also probably willing to give you a referral. Customer Loyalty – If a customer leaves you a positive review then capitalize on their trust of you. This trust will continually bring them back and create opportunities for future sales. Consumer Marketing – Golden rule says treat people how you want to be treated. When you can show you’re an expert in your space and educate clients on their options, they will certainly share their experience with their peers. If you get them to write a review, you’re increasing the likelihood of them sending you future business within their natural network. SEO Ranking – Besides building credibility, online reviews are a great way to improve your search rankings online. As more clients are writing about your agency, the search engines will begin to see you as a more relevant online resource and push you up the ladder. A client review is a powerful statement about you, and it can be good or bad. Make sure your business model is bullet proof because online reviews can quickly get out of hand and spread like a wild fire. Below is an example of an online review you don’t want. Can you imagine trying to regain the trust of the client and then ask them to revise or remove their review? The goal is to limit the bad review to as few as comments as possible and solve the issue face-to-face. This will be your best chance at keeping the situation controlled. While all that may seem dire, there is good news! If you’ve built a good following, and your customers trust you, they’ll rise to your defense and leave their own comments to the negative reviews. Testimonials are a type of user review written by your customer, but typically found on your website or various social media platforms. They are actively solicited from satisfied customers and since there is no expectation of anything but positive feedback, they are like a paid advertisement: YOU choose the ones that go on there, and they should ALWAYS be from your best clients. Testimonials can be incredibly effective, however the challenge is to use the customer’s own words so there’s less chance it will be perceived as being written by you. Even with that risk, testimonials, reviews, and case studies are still considered by most marketing experts to be the most effective means of marketing and gaining brand trust by small- and medium-sized businesses. Use reviews and testimonials to increase conversion on your website and manage your online brand. This sweat equity will certainly pay off in the long run. Bernard Marr shared some tips on creating a Linkedin profile to help you get noticed and land more clients. Online profiles are a way for you to build relationships even before you meet clients. Give them the ammunition they need to see you as a valuable resource, and don’t forget to keep it simple. For example, Wayne Killeen, a personal risk manager with Comegys Insurance, uses a professional head shot, a personalized description and utilizes the professional tags and services offered through the profile builder in the Agent Review portal. The next step we would suggest Wayne take to improve his profile would be to take advantage of the newly released “Client’s Choice” award. Agents are eligible for the award once they receive 5 reviews with an average of 4 stars. Once achieved, they will have special privileges within the site to show up in more client searches. If you’re curious about who Comegys is, they are definitely taking the right steps to stay relevant online. Some of the best online review companies are Yelp, Google, Amazon and the Better Business Bureau. All have stayed relevant as the Internet has evolved. Our business is extremely unique so I think it’s important to utilize the resources that not only help you capture reviews but further reinforce who you are and what you do. 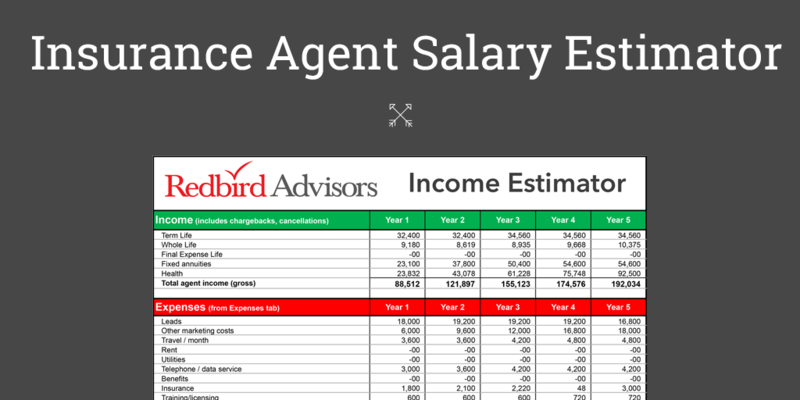 In my opinion, Agent Review is the online review resource independent agents should be using. Its detailed profile setup allows you to collect reviews, tell your elevator pitch and generate life insurance leads online. And, most importantly, it’s targeted directly for insurance agents. You can set up a free account to start but you’ll soon realize the price for the premium account is absolutely the way to go. 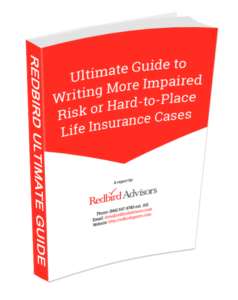 Check out this free guide on using online reviews to generate life insurance leads. There is nothing wrong with encouraging your customers to leave a review if they had a good experience. Just don’t over-do it and make sure you’re asking at the right time. The following steps are easy ways to get more reviews from your existing book of business. Ask at policy delivery – It doesn’t get much easier to get a review than when you’re sitting with your client. In a world of smart phones, you can simply have them open a link and give you a review on the spot. Include a review link in your email signature – This passive method of getting reviews is easy because it’s included in every email. But remember to not over-crowd your email signature. Online widget – Have your web developer create a widget to capture reviews on your website. You can strategically place it on pages where only active clients are visiting. Retargeting – This follows the previous point. Use Google AdWords to set up a retargeting campaign when your clients hit specific pages on your site. Then your review request will mysteriously follow them around the internet. Thank you cards – I’m not sure there is a better time to ask than when you are sending them a thank you card. People want to help and your great service is still fresh on their minds. Staying relevant online doesn’t have to be hard. Getting started is the hardest part, then it’s a compounding effect of positive results. Online reviews are a great stepping stone to becoming more visible online and capture the growing number of people who are shopping for life insurance online. Don’t forget to grab your free guide here! Jonas Roeser is a Co-Founder and CEO of Agent Review, an online platform that offers consumer education on insurance products and a creditability platform for insurance agents. Roeser is also an international award-winning marketer and a member of the ECHO Academy of Direct Marketing Arts & Sciences. In 2011, Roeser founded the 3in4 Association, a nationally recognized nonprofit that focuses on raising awareness of long-term care planning products and services. Roeser was one of the founding leadership team members at LTC Financial Partners (LTCFP), one of the nation’s largest long-term care insurance agencies, where he served as Chief Marketing Officer from 2003 to 2012. LTCFP ranked in INC Magazine’s, INC 5,000 four years in a row. While at LTCFP, Roeser served on the board of directors for six years, until 2014 when the company merged with ACSIA to form ACSIA Partners.